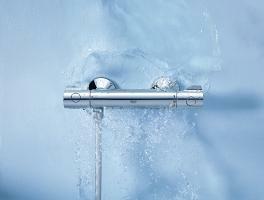 Experience the benefits ofa thermostatically controlled shower at an attractiveprice. 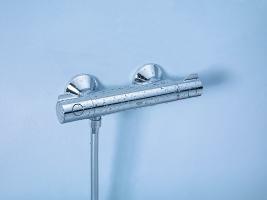 finished in sparkling GROHE StarLight® chrome,Grohtherm 800 benefits from GROHE TurboStat® technology,ensuring luxurious showering at a constant temperature.The SafeStop button, set at 38ºC, prevents children fromturning up the temperature, while the EcoButton allowsyou to reduce water usage. 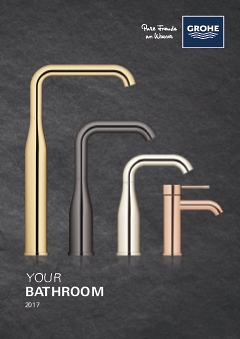 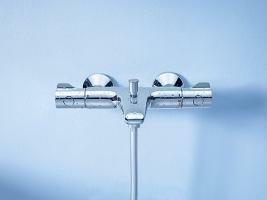 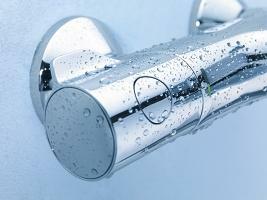 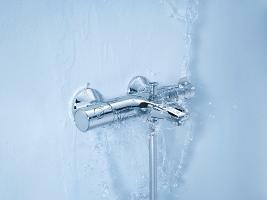 Step into the world of thermostatic comfort – Go forthe Good!